Two Anchorage Democrats have introduced a bill to create a statewide commission on climate change. But even its authors doubt the bill has much of a chance, at least this session. Still, they argue it’s a step in the right direction. Both Reps. Andy Josephson and Geran Tarr have introduced climate-related bills in the past, without much success. Then, this session, control of the state House flipped — and Josephson and Tarr went from legislative backbenchers to co-chairs of the powerful House Resources Committee, which sets the agenda on natural resource issues. But that doesn’t mean climate policy will suddenly have an easy time time in the Alaska legislature. Asked if he’s confident his bill could clear the House, Josephson paused for a long moment. “That’s a very good question,” he said finally. And that’s in the chamber his caucus controls. 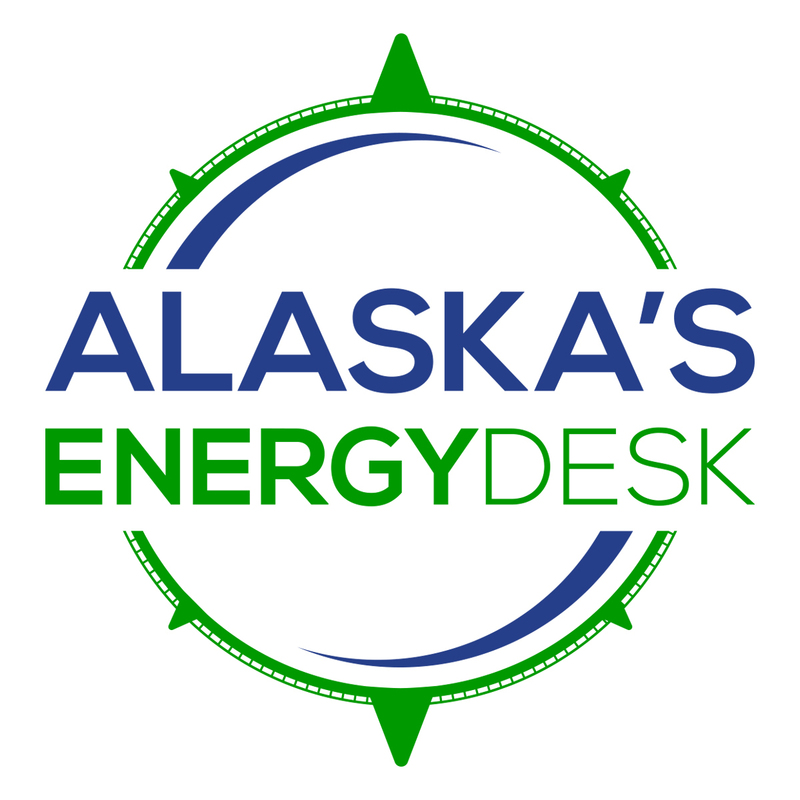 Never mind the Republican-controlled Senate, where the relevant committee chair, Cathy Giessel of Anchorage, has said there’s no need for climate legislation. The bill itself would create a climate change commission with a permanent presence in the governor’s office. It would essentially re-boot an effort launched under former Gov. Sarah Palin, which lapsed under her successor, Sean Parnell. The commission, made up of department heads and community representatives from around the state, would work with the governor to develop a statewide climate strategy, potentially covering anything from relocating villages to promoting renewable energy sources and reducing greenhouse gas emissions. 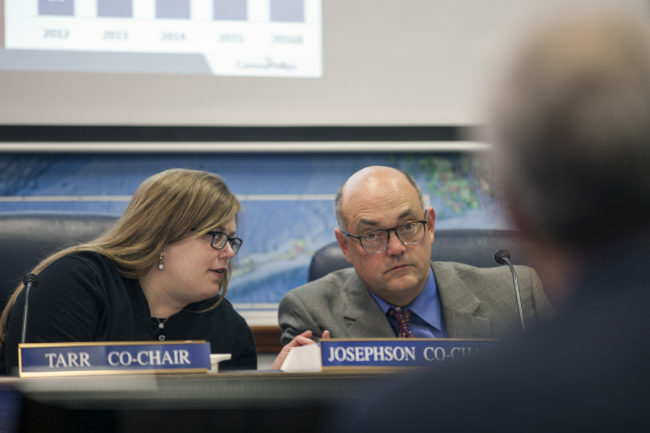 The commission’s work would be funded with a penny-per-barrel tax on oil, equal to a current tax that goes toward oil spill prevention and response efforts. Josephson estimates it will bring in about $1.7 million per year. That’s a drop in the bucket compared to the costs of relocating even a single community (the Army Corps of Engineers has estimated it will cost $80 to $130 million to fully relocate Newtok, for instance) — a point Josephson readily admits. Instead, Josephson said he sees the funding as seed money: enough to get the office up and running so it can go after outside grants from federal or private sources for climate adaptation and mitigation. One challenge for the legislation is timing. Lawmakers are currently consumed with the state’s budget crisis, leaving little room on the agenda for other issues. For now, both Josephson and co-sponsor Tarr said their goal is simply to get the bill moving. Tarr said that would give lawmakers time during the interim to seek feedback from communities around the state — and perhaps give the bill a better shot at passing next session.